It has long been that way, in reality. Clifton was said to be the favored terminus amongst wealthy people when it came to dwelling, long afore Partition as well. In the seventy’s and afterwards, the area was well-known for housing Zulfiqar Ali Bhutto’s abode, 70 Clifton. There is predominantly a specific building in Clifton which appears like a palace and is a very admired attraction for anyone who goes there, the Mohatta Palace. 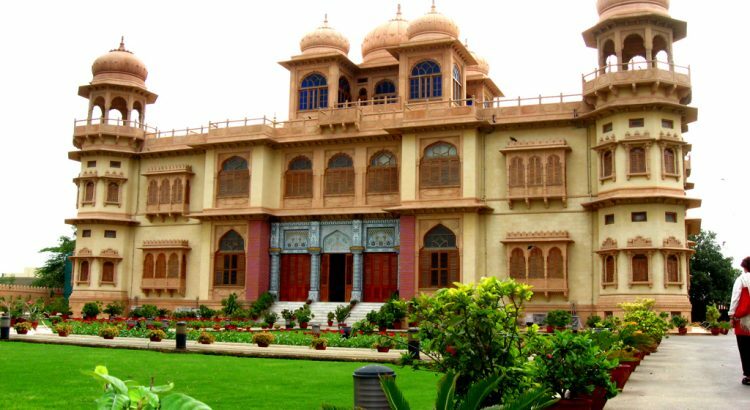 Presently a Centre for traditional activities, the Mohatta Palace was built by a rich businessman of Karachi, Shivratan Chandraratan Mohatta. Mohatta Palace was constructed by Agha Ahmad Hussein, the first Well-known Muslim Architect of that time, in 1927 by the orders Shivratan Chandratan Mohatta, who resided in Marwar town India and wanted to build a summer home for his family, Mr. Shivratan choose this abode because of its key location close to coastlines of Karachi, but unluckily he did not pass much of his summers in the Palace as after 2 decades of its building, Independence of Indo-Pak happened and he chose to move to India. Called after Mr. Shivratan Chandratan Mohatta, this Palace is still called Mohatta Palace. The tale behind the creation of the Mohatta Palace is an exciting story of love. It recaps the story of Taj Mahal, which is one of the 7 Wonders of the World and was constructed on the instructions of the Mughal ruler Shah Jehan in the loving reminiscence of his wife. The alteration is that Shah Jehan built Taj Mahal once his wife died, while Mohatta had the palace constructed to save his wife from dying. *”In 1927, Shivratan Mohatta, a successful Marwari entrepreneur, commissioned a palatial house in the affluent seaside neighborhood of Clifton. The architect commissioned for the assignment was Ahmed Hussein Agha, one of the first Muslim architects of India. He came from Jaipur to take up the assignment. It is thought that the motive behind its contract was a serious illness that Mohatta’s wife grieved from. Doctors had communicated to Mohatta that the uplifting breezes of the sea would antidote his wife’s illness. Consequently, Shivratan had this captivating bungalow constructed in the preceding century in Clifton, encompassing a very large area. Most people don’t have knowledge regarding the Mohatta Palace’s top-secret underground tunnel that heads from the grounds of the palace all the way to a buried Hindu temple less than a mile away. This tunnel was seemingly constructed to offer a safe passage for the Hindu wife of Shivratan Chandratan Mohatta to go for her everyday worship. The tunnel still subsists currently, however over time it has given in, and the opening is congested from both ends.